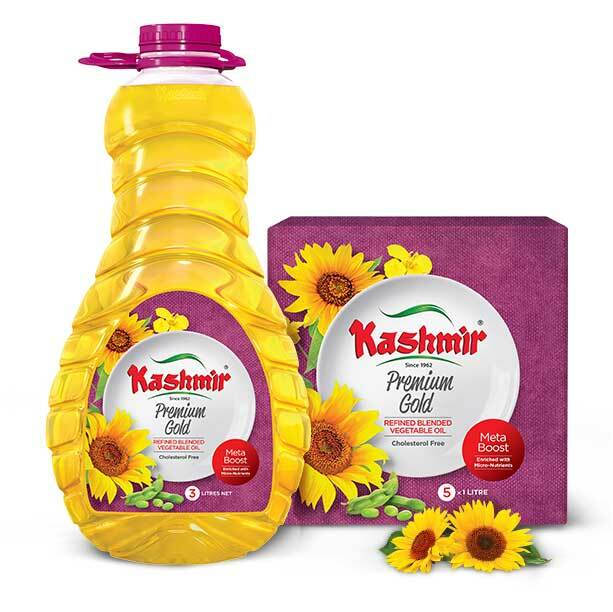 Kashmir Premium Gold is a combination of the finest oils: Soya Bean, Sunflower and Canola Oil. It is a light, all natural, CHOLESTEROL FREE, UHT treated product which helps maintain the balance between taste and health; keeping your family wondering what's next! Not only this, the power of Meta Boost (Vitamins A & D3) prepares you to take on life. And we believe it is these little nuances that add value and takes your food from good to great. 101, Regency Arcade, The Mall, Faisalabad, Pakistan.